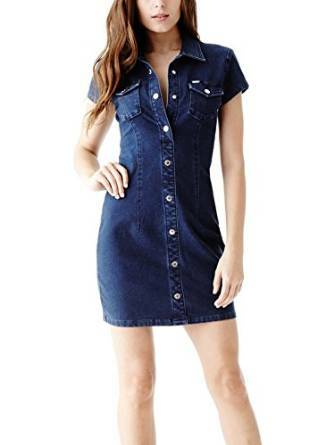 During the entire seasons, you have at your disposal in order to enlarge your outfit options, one very chic piece of clothing: the denim dress. You can think about the denim dress as an intermediary piece of outfit between the jeans and the summer dress. 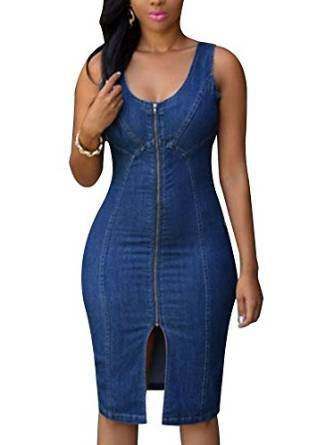 When the weather is a little chilly, you should go with the jeans, if it is very hot, choose to wear the summer dress, but if you are undecided, you should better wear a denim dress. This type of dress, if correctly accessorized, can be an excellent outfit option even for a day at work. That if your company’s dress code allows it, of course. You can match it with thick tights, blue, grey or with black ones that can even have a model if you would like. Match it with a cardigan and you will have a very comfortable and chic outfit. Indeed I said comfortable because probably this is the most important characteristic of this denim piece. The denim dress is by your side even during the free time. Yes, indeed, match it with a pair of casual shoes or some chic sneakers and a denim jacket and you will have a relaxed look. And, of course, it will also be a very comfortable one. Indeed, the comfort is an essential aspect of which you will have plenty of it. In addition, it is also very durable as most of the denim items are. An equally interesting combination can also be the denim dress with casual shoes and a leather jacket. An excellent and very practical combo, no matter the circumstance, there is no doubt about that. 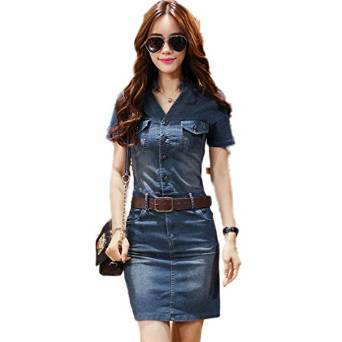 Bear in mind that the secret to create a stunning look is the way you are able to accessorize the denim dress due to its solid fabric structure.